I used to be one of those people who could care less about politics. Don’t get me wrong, I’ve always appreciated that I live in a democratic society and realize that public policy plays an important part in my day to day life, but I didn’t really put much thought into it. But, fortunately, through choosing a career in journalism, I didn’t really get a choice – all of a sudden, I had to care. By reporting on all levels of government, I was able to discover just how important it is to not only be aware of the issues facing the community you reside in, but who is speaking about them on your behalf. Often the things you are complaining about most – traffic, construction, healthcare, employment opportunities, cost of living, daycare, etc. – are the result of someone either advocating or not advocating on your behalf. In other words, if you’re pissed off over the fact you’ve had two flat tires in two months because the street you take to work is riddled with potholes, it’s not going to do much good to curse at the cars around you. There’s someone who has a little pull when it comes to fixing those bad boys, and – depending on the road and who’s responsible for it – that person is your local politician. In journalism school, we were once told that, as a reporter, maybe you shouldn’t vote at all. Maybe your duty to be non-partisan trumps that right. While I would never discuss my political views (and truly do support people and not parties), I would have to disagree. Career aside, I still want to help mould decisions that may one day affect the neighbourhood/city/province/country my kids will live in. I find often people (my old-self included) are just annoyed at the abstract and are happy to be negative and damning on so many issues without lifting a finger to change them. That’s not to say every person should run for public office, or join their local community association, but I truly feel that you lose your right to complain about the world around you if you decide not to have a say in it. So tomorrow, June 12, take a second to read up on the candidates in your area that are running in the provincial election. Whether you take 10 minutes to quickly read up on their platforms online, or use your entire evening, tonight, to get a better understanding of what positions they take, just do it. And at the very least, if you really don’t want to lend your support to one candidate or another, scratch your ballot. The more people in our age demographic that vote, the more politicians will tailor their policies towards the wants and needs of younger people. 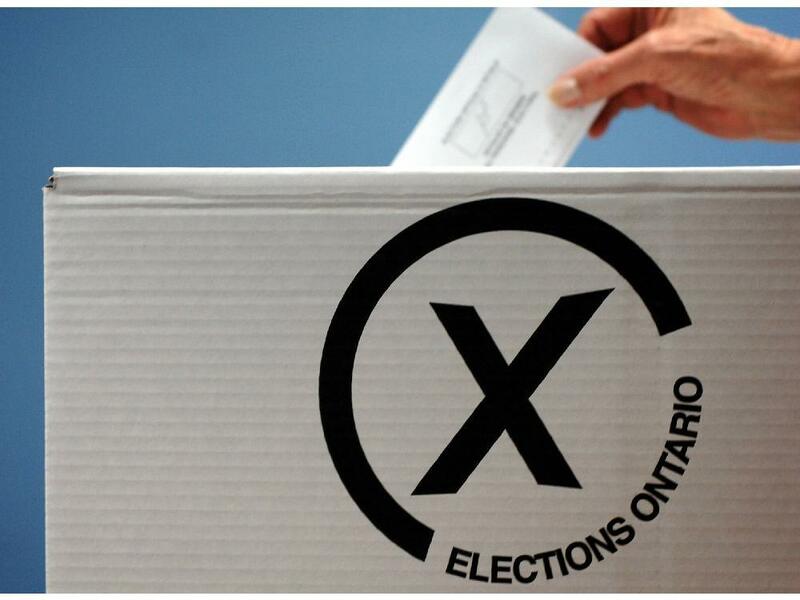 In the last provincial election, less than 50 per cent of eligible voters cast a ballot. In 2005, only 35 per cent of voters aged 18-24 participated in the election. When you stop and think about what some people in the world would give up for the chance to influence their government, it really is pretty shameful. Please read the following excerpt from a newspaper article:” Almost exactly 70 years to the day since Canadian, British and American soldiers stormed the coast of France during D-Day, at terrible cost to our forces, this election should be cause for Ontarians to reflect on the fact that voting is a civic right that our soldiers fought for — and in many cases died for. Hopefully, this will motivate you to vote and not spoil your ballot . A thoughtful in a nutshell. Since we live in a democracy, we must vote although one has to admit that this provincial election has failed to produce a really inspiring figure…..at least among the party leaders. The Liberals have much to answer for. The native peoples invasion of a housing subdivision and the sight of the Ontario Provincial Police standing idly by while law-abiding citizens were being harassed by people who were breaking the law by any standard is something which should never be allowed to occur in our great province ever again. The O.P.P. and the Provincial Liberal Government then in power should both be monumentally ashamed. Then, of course, there is the extraordinary cost of the cancelled gas contracts for political purposes. Did Tim Hudak decide that he wanted to do everything in his power to lose this election? Andrea Horvath, in my opinion, is an appealing speaker but, unfortunately, there is always the spectre of the last NDP government which really didn’t work all that well in Ontario. The choice is definitely a difficult one but, as Catherine has indicated in her article, it is one that must be made. I find it absolutely appalling that the suggestion would be made to journalism students that perhaps in order to maintain their neutrality they should give up their right to vote. Those who are tasked with defending the democratic order should abandon the principle foundation on which democracy is based? One other point that requires a bit of clarification. Whenever I get two flat tires in a month on a road poorly maintained by the city I never ever get pissed. I may send Mayor Jim a snarky email but, getting pissed, no……………………………..not ever. Yeah, tough one for sure. I respect a leader that can make his/her points without slamming another leader/party’s. That’s likely who’ll get my vote.